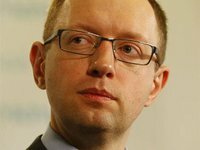 Imports of Ukrainian agricultural products to Russia were banned from Monday, Ukrainian Prime Minister Arseniy Yatseniuk has said. "Today Russia banned imports of Ukrainian agricultural products to the territory of Russia," he said at a cabinet meeting on Monday. He said that the step is one of the elements of economic pressure Russia is using against Ukraine.